Poland's president apologized to hundreds of Jews murdered by their neighbors in ceremonies that marked the massacre. Poland's President Bronislaw Komorowski apologized Sunday in ceremonies that marked the massacre of hundreds of Jews by their neighbors in a village some 190 kilometers (120 miles) northeast of Warsaw. Bishop Mieczyslaw Cislo, ranking member of the country's Roman Catholic Church, stood in solidarity as Poland's Chief Rabbi Michael Schudrich recited the Jewish prayers for the dead. Icchak Levi, a relative who flew in from Israel for the occasion, wept for those lost, as those present placed pebbles on the monument, as one does on a grave stone. Elan Steinberg, vice president of the American Gathering of Holocaust Survivors and Their Descendants, said in response that the ceremonies were an important step. Seventy years ago, dozens of men from Jedwabne rampaged through their village, beating men, women and children to death. Some were burned alive in barns. 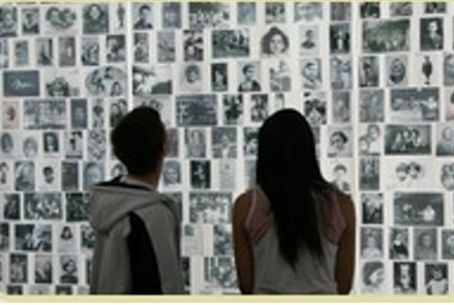 A Polish government investigation that closed in 2002 claimed some 300 and 400 Jews lost their lives in the massacre. The official version says the villagers were not the primary perpetrators; they were assisting the Nazis in their genocide of the Jews. But Polish emigre historian Jan Tomasz Gross contends that some 1,600 were murdered. Gross is the author of “Neighbors,” a book on the subject published in Israel in 2000.